Mike O'Reilly is stepping down from the Suffolk bridge committee after many years as a member. 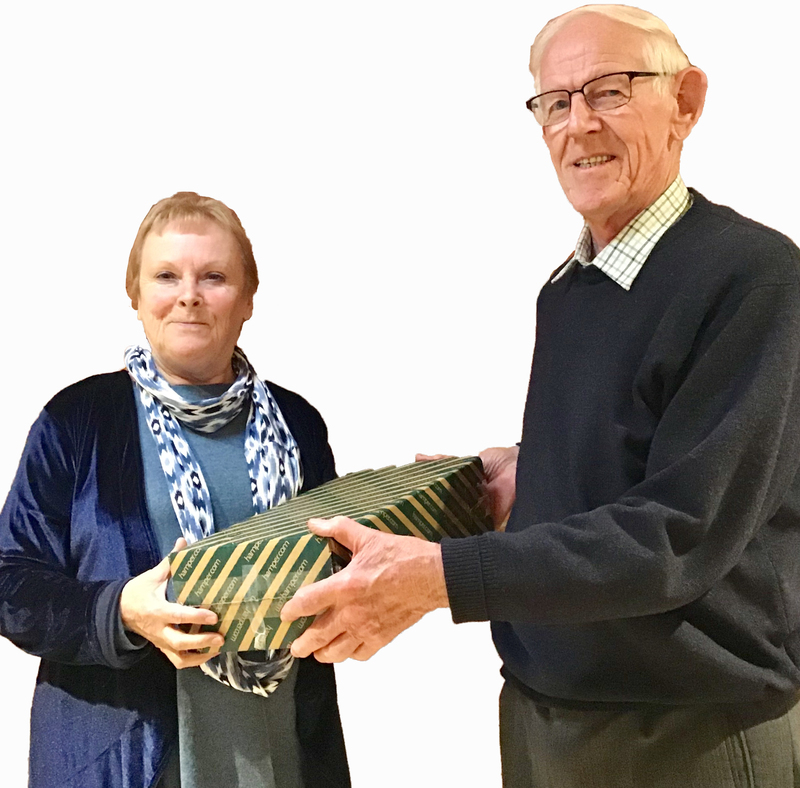 He was presented with something suitably refreshing as way of a thank you by Chris Rickard, the county's competitions secretary, following a recent meeting of the committee. When Suffolk captain Rick Hanley and his partner missed a slam, he decided to email US expert Marty Bergen and - for $1 a minute - seek his opinion. How did he rate my bidding? Within a couple of hours, I discovered the answer. He didn't rate it all! Nor did he rate my partner's bidding as being much better. Click on Consulting The Oracle to read more. Hertfordshire has released details of its popular green pointed congress next July. The two day event will be on Saturday 20 and Sunday 21 July at the usual venue - Wodson Park, Wadesmill Road, Ware SG12 0UQ. Richard Evans & Paul Rickard are the webmasters running Suffolk's dedicated bridge website.